I have always had a thing for small form factor PCs. Till recently, there were very few options in this segment, both in terms of quality chassis as well as motherboards. But now things have changed. There has been a lot of activity in this segment and a flow of mini ITX boards has been seen. A lot of companies have been releasing mini ITX Z77/H77 boards that basically get you almost the same features and functionality of a full ATX board but with a much smaller foot print. These ITX boards are significantly smaller than your regular ATX sized boards. They measure 6.7″x6.7″ against a full ATX board that measures 12″x9.6″, so as you can imagine, there is very limited PCB real estate. Components are generally cramped and you will lose out on features such as crossfire/SLI and overall expandability is limited, so is the power modulation circuitry on the board. But all that aint that bad. Not all want a multi GPU setup and the overclocking potential of this board is pretty good (as we will see later in the review). 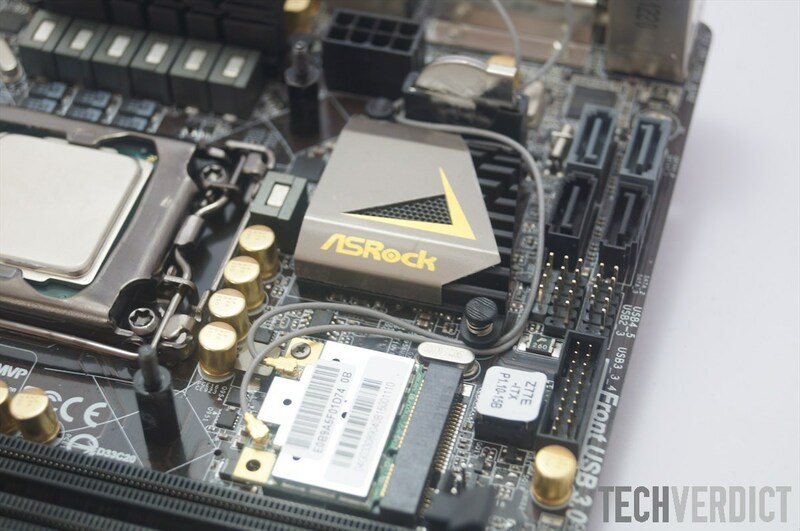 This board comes with built in Wifi and ASRock even managed to put in a mini SATA port on the back of the board!